Please let us know if there is something you need that you do not see listed. Click here for a simplified list. This is a corporate ID project (letterhead, business cards, folder and #10 envelope. Keep your branding consistent with coordinating corporate ID materials. We strive to maintain consistency when creating and/or printing new pieces for you. Business cards, social cards, letterhead, envelopes, folders, invoice sheets, we can manage it all for you. Although customers ordering through the mail has changed quite a bit, catalogs are still going strong. Catalogs and booklets are effective marketing pieces and great for tradeshows! Brochures and postcards are amazing for direct mail and as hand-outs. Mail them, hand them out, include them in boxes/bags with your product to cross-promote! Trade shows require a lot of planning and organization to get that ROI. 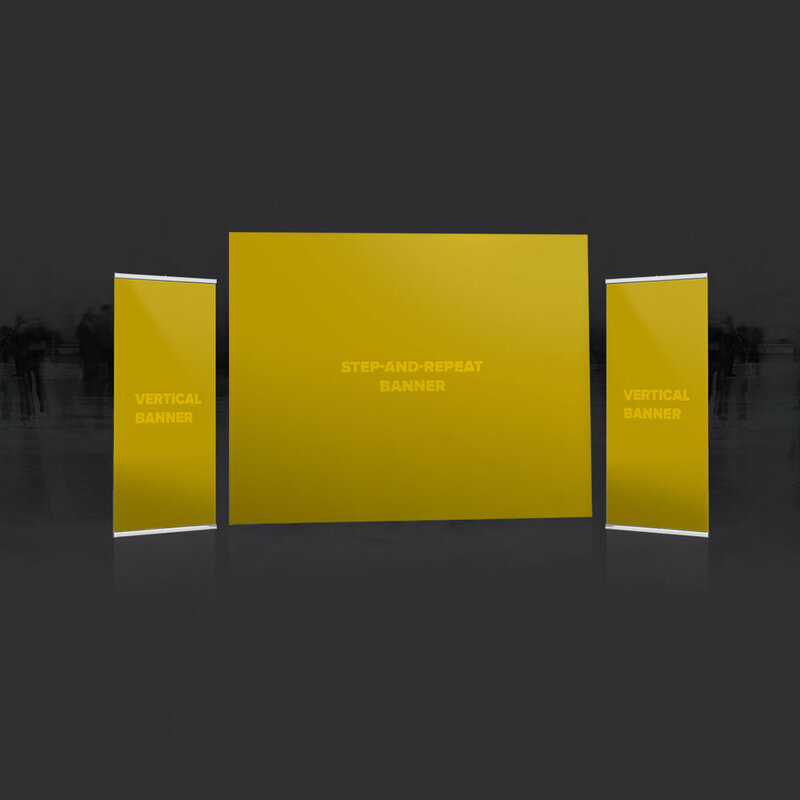 Grab their attention and capture those leads with vertical banners, tear drop banners, table linens with your logo, hand-outs (brochures, cards, catalogs, flyers…), and step-and-repeat banners. Start planning now so you don’t forget anything. We can help you with your graphics too if you need it or simply have a question. We are very proud to say that our wedding invitation part of the business has grown so much that we created an entirely separate site where we can show off the beautiful invitations, bridal and baby shower invites, and Save-The-Date cards! It's been a lot of fun. It's still us (Graphicsource), we just gave the special events a special home. Stop by and visit! Click below.